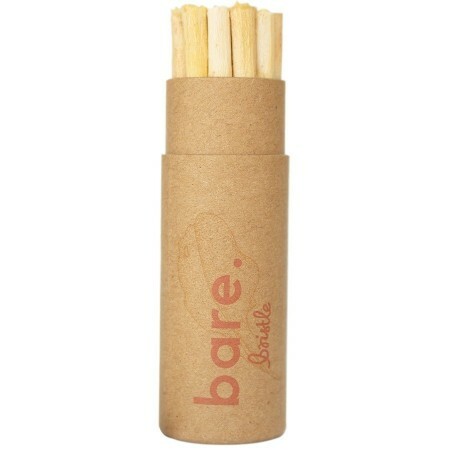 Based on one of the oldest forms of dental hygiene and teeth whitening, the Bare Bristle is a natural bristle chewing and tooth polishing stick to help keep and maintain healthy dental hygiene practices. Made from pure olive wood twigs infused with organic peppermint oil, this is a toxin free, vegan, and zero waste product. Set of 30 bristles. Choose a completely natural, plastic free, and compostable dental hygiene alternative. 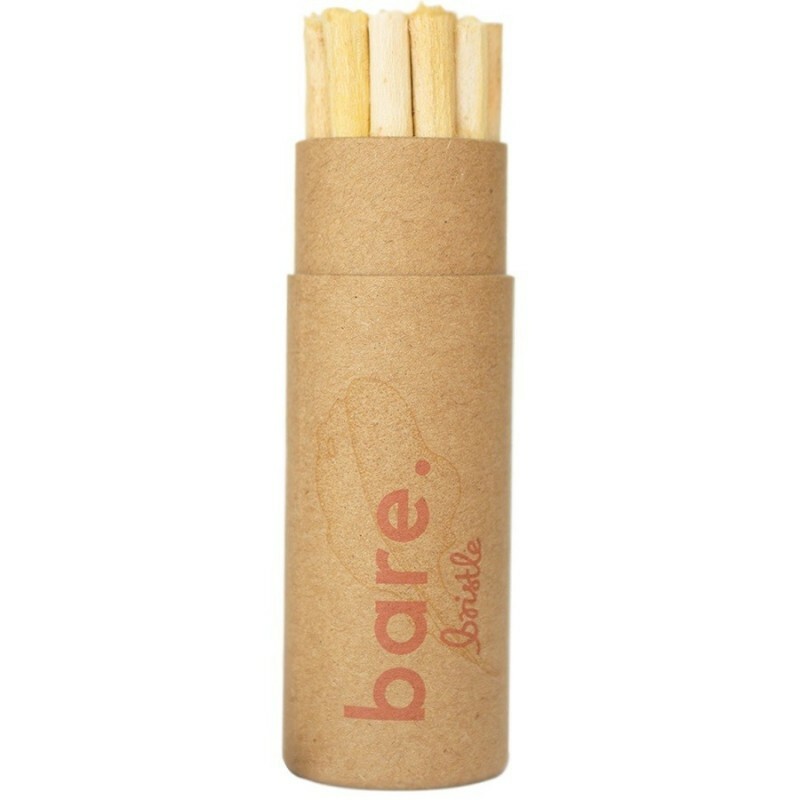 The Bare Bristle is activated by chewing one end, in order to form moist fibres. You can then rub the moist fibres on your teeth for a polishing effect. See diagram below. Suitable for use at home or on the go. No rinsing required. Suitable for use three to four times per Bare Bristle. Switch to a new Bare Bristle each day. Comparable to chewing gum, except they are biodegradable and effective. Store in the fridge at home, or in a clean, moist proof container on the go. Rinse before first use to make the bristle softer. 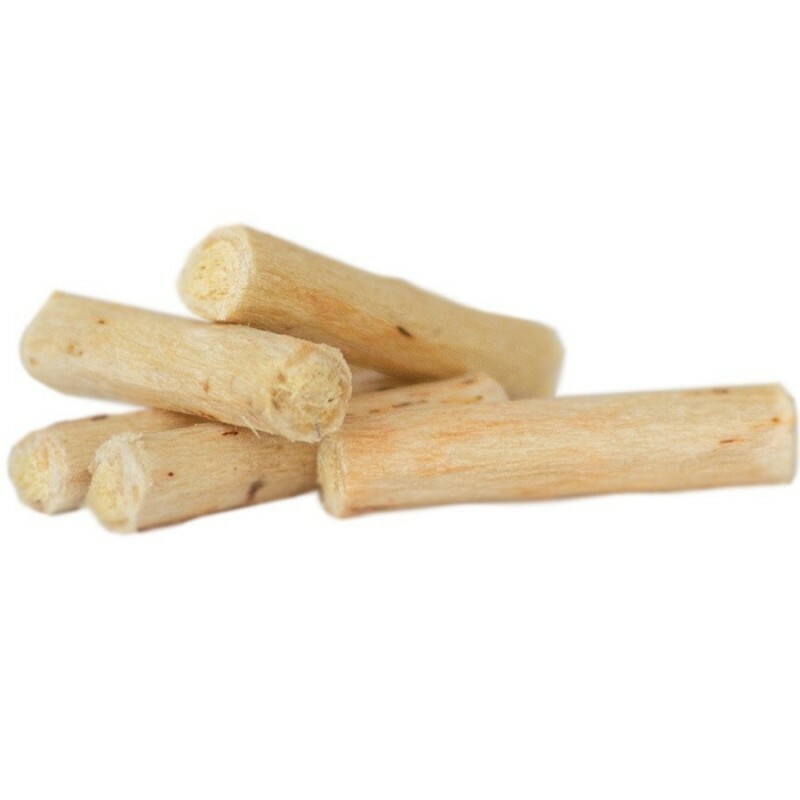 Pure olive wood twigs, infused with organic peppermint oil. Packaged in plastic free, biodegradable packaging. Designed in Sydney. Made in China. Tried these last week and they are absolutely amazing. It is minty mixed with woody notes. it definitely made a BIG impact to my teeth overall whiteness and cleanliness . Perfect for travel, work or just before meetings.